When I first got the Riverbend brochure in the mail a few weeks ago, my first impression was that Riverbend must be experiencing declining funds. Just being honest. Nothing against Eric Church. He’s nice enough. Nothing against Foreigner. I mean at some point in my life I probably did bob my head to one of their singles without even knowing exactly who it was. And they did have the hit “Feels like the First Time,” which was played on 106.5 and 106.9 at least several times each. What I’ve learned since–a lesson I had already learned and forgotten–is that at Riverbend you have to look past the headliners. The headliners will rarely get you excited. Just look at the overall line-up. As Riverbend finally got here I realized how wonderful it was to have the option to go out on any given night to see what kind of music was floating from the river. And by then it was too late. Turns out, I missed out. I missed out in a bad way. I can’t account for all I did. I think I was learning stand-up paddleboarding a few of those days, but I also remember being around and feeling “pinless” and hungry for some special waterfront nights. Next year, I plan on just hopping in, no matter how it sounds on the brochure from a calendar distance. The point is, none of this was planned. And that’s another big part of what made it great. 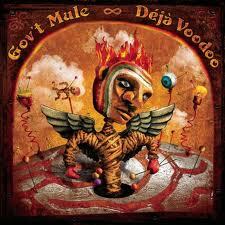 The biggest band I missed out on I now realize was Gov’t. 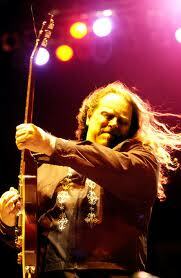 Mule with Warren Haynes. Juan Bustamante with Local Fare magazine mentioned it when we were out on the lower Ocoee that weekend doing some “field research.” I have loads of Gov’t. Mule, but had only a vague sense of the depth of their professionalism. I’d inherited a lot of their music without giving it a proper listen to. That’s the real story. And by then it was too late. Actually, I also missed a ton of fun at the Bessie Strut festival. Oh, and I was curious of about 24 other bands throughout the whole week. The real question is: Will I ever know all I lost by what didn’t happen? Well, I know I missed ‘Mule,’ Foghat, Trampled Underneath, and Get the Led Out. And that haunts me here in the ensuing silence on Tennessee River bank at the empty Coca Cola stage. Being Alone Together and Loving it?